Daisy, Desi and I had a wonderful Christmas visiting my folks upstate. One of the nice things about seeing so many relatives is that everyone wanted to help take care of Desi, which meant that Daisy and I had a bit more time to, well, do whatever we wanted. 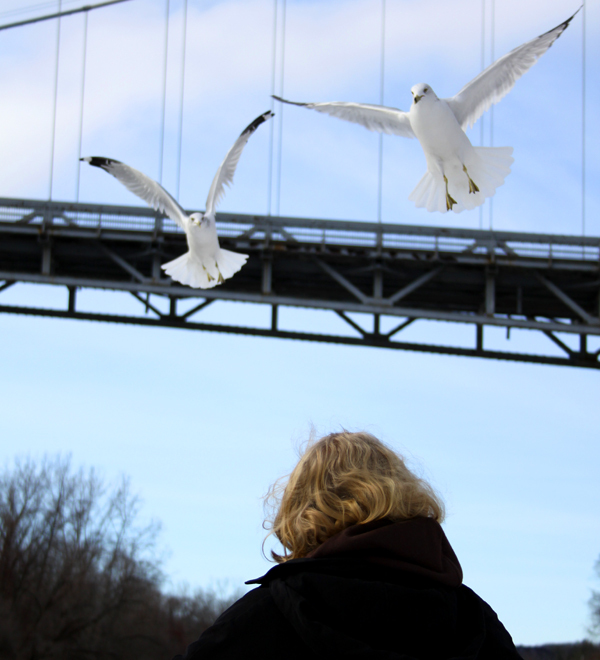 For me, this included making a run to Kingston Point, near where the Rondout Creek flows into the Hudson River, to see if I could find any cool gulls. I even convinced the younger of my teenaged nieces to join me on the expedition, though, of course, Raven is no stranger to looking for birds. Despite our best efforts we were unable to find any of the larids we sought, like Iceland Gull or Glaucous Gull, and instead had to make do with swarms of Ring-billed Gulls and two distant Herring Gulls. Even searching along the Rondout Creek and in Port Ewen brought us no new species of gull, though our expedition to Stewart’s for hot beverages and breakfast pastries was a rousing success! 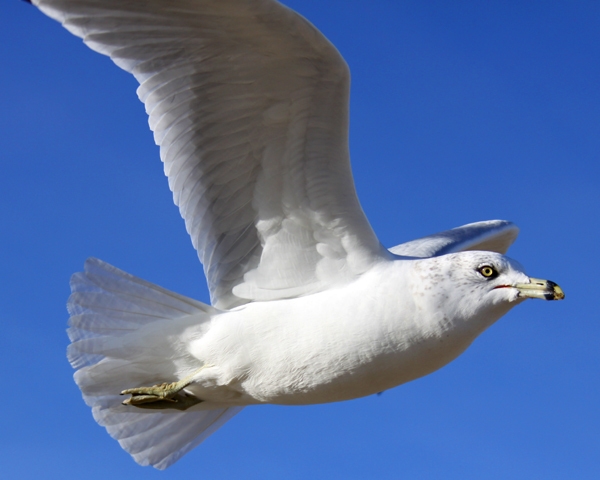 The Ring-billed Gull Larus delawarensis is familiar to most people across North America who might recognize it as the Parking-lot Gull Larus parkingloticus. The Ring-billed Gulls we encountered were clearly familiar with the parking lot routine and even started making their way over to us before we gave any indication that we had food, making me wonder if there were subtle clues that the birds picked up that tipped them off that Raven and I had come prepared with a bit of stale bread to share. However they knew, they knew, and Raven had a great time feeding the gulls while I took some pictures with my 18-55mm lens which is actually not bad for taking bird pictures provided you have a way (like bread) to get the birds close to you. It was a nice couple of hours on a cold winter day and though we found no rarities it was nice to be out with my niece enjoying what gulls we could find. Some awesome shots. 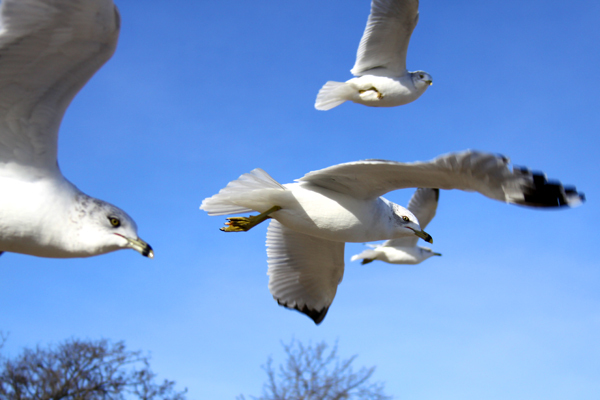 The one of the wide mouthed gull is especially cool. But alas you don’t know the secret password to find them! 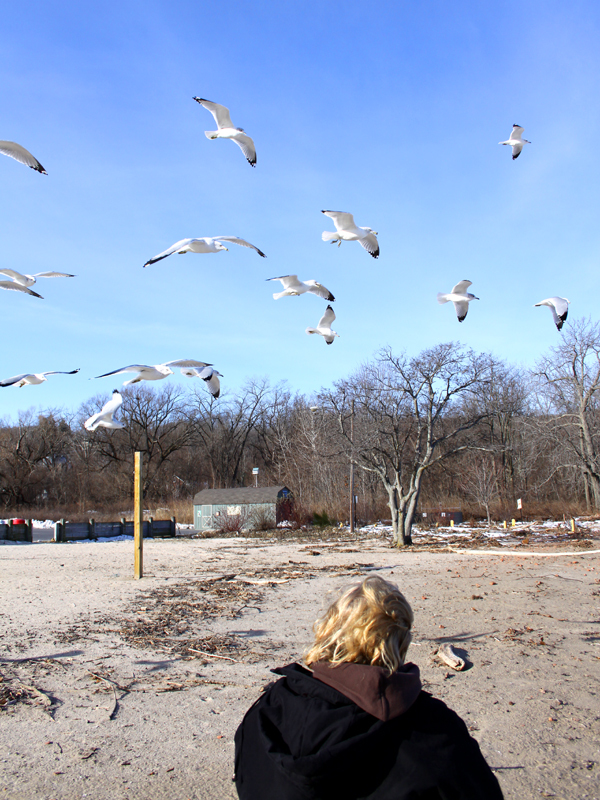 I like it when birders are able to find joy in the ordinary and, in the case of Ring-billed Gulls, often mocked. 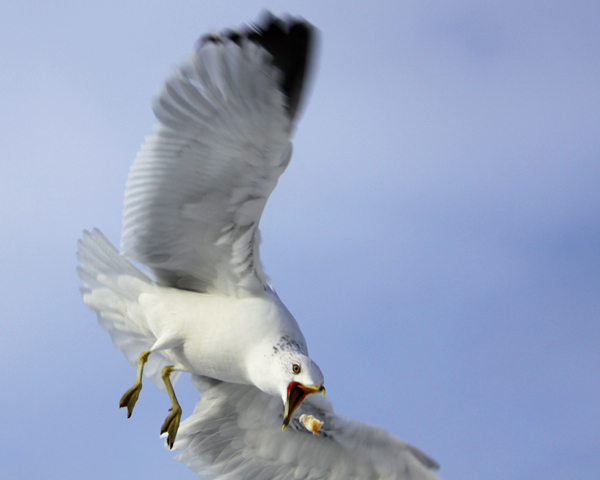 Yes, the photo of the gull about to gulp down some food in flight is awesome. Fantastic photos, especially the midair bread capturing. Wow! @Wes, Donna, jason: Thanks! 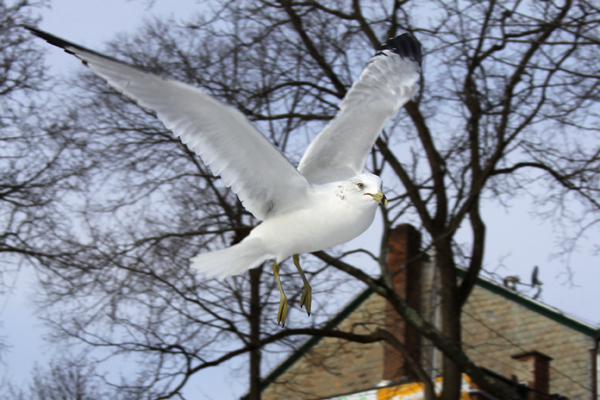 And, yes, the common gulls are great (but not the Common Gull, that is not so great in my book). @Will: I sooooo wish I had gone to Coxsackie now. @Raven: When are you (and Jessie) coming to NYC again? that shot of the gull about to gulp down the tasty morsel in flight is absolutely one of the coolest shots i’ve ever seen! i yearn to capture such shots. great job! what are your (camera) equipment specs? @dugfresh36: Thanks! On this day I was using my Canon EOS 50D and the cheapy 18-55mm non-IS lens. I’d just briefly like to point out that feeding bread to birds is not good for them and may even be bad for them. All of the ornithologists I’ve spoken with seem to agree that bread is of poor nutritional value to birds. In the future, it would probably be better to throw out your bread and feed the birds with some of your other table-scraps (or bird feed). @JP: Were these not basically parking lot gulls I would be much more concerned, but your point is taken.